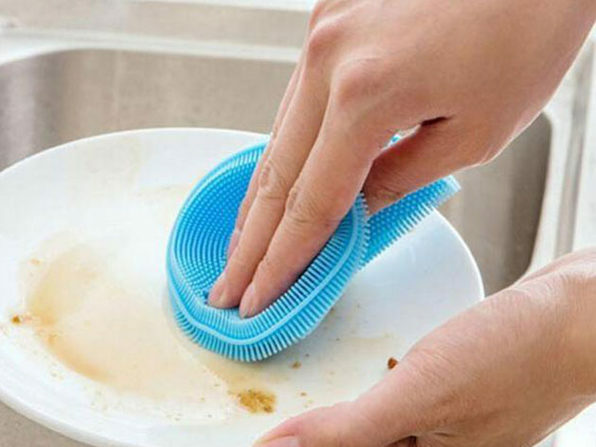 Whether you're cleaning dishes or scrubbing around the house, the Better Sponge is the last sponge you'll ever need. 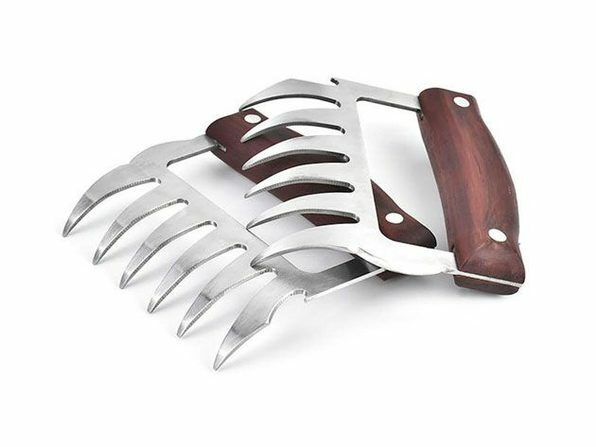 While conventional sponges tend to collect bacteria and odors, the Better Sponge uses small silicone fingers to scrub and clean in hard-to-reach places without wearing out or picking up odors. 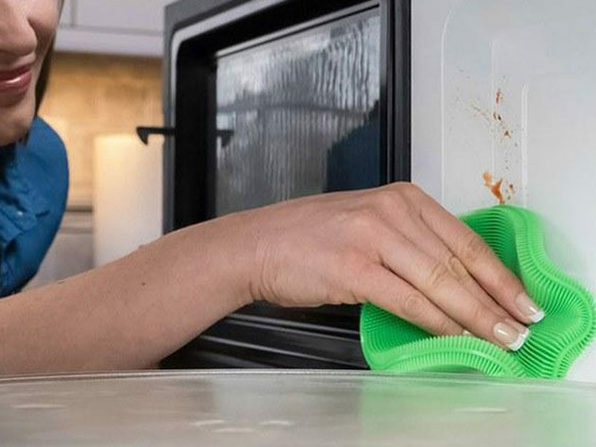 The Better Sponge is perfect for cleaning dishes, as well as household surfaces, and even works as a heat-resistant oven mitt, pet brush, hair collector, and more! 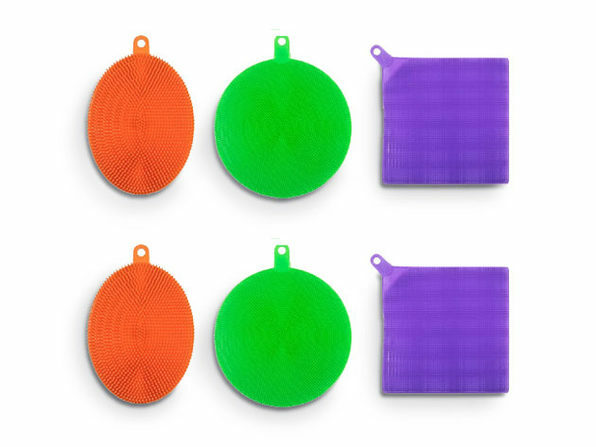 Purple (square): 5.5" x 5.5"
Orange (oval): 5" x 3.8"